Our VetLine Bi-Level Wet Table provides you flexibility for all your daily surgical procedures, dental services and bathing, as well as your other daily needs. 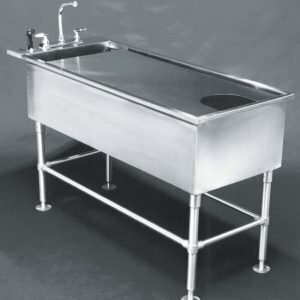 The heavy duty bi-level liner is 15” deep at the bathing end and 6” deep at the opposite end to accommodate many procedures. The liner features radius corners to eliminate all seams and welds. 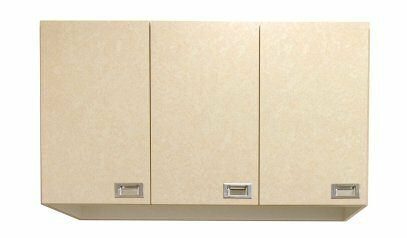 The base includes 1 large cabinet, 3 full extension drawers with ball bearing side-mount drawer slides. 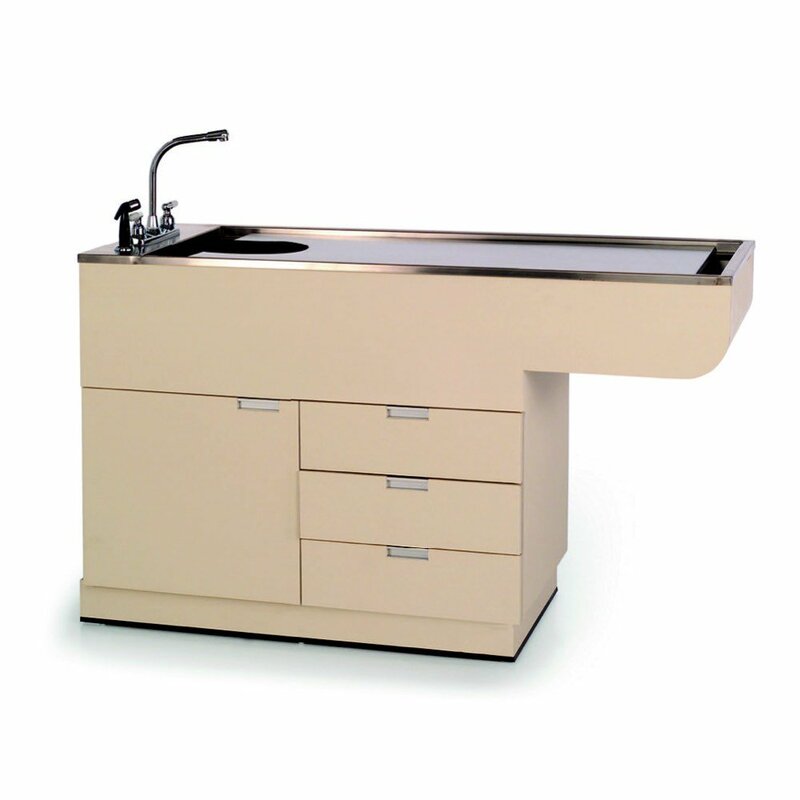 This unit has a knee space for added convenience and comfort for sitting during procedures. A stainless-steel prep rack is included.